MADRID – Music is indeed the universal language. Flogging Molly offers vivid proof of this truism. Formed in Los Angeles, the seven-piece American band got their start playing at Molly Malone’s, a local club from which they ultimately derived their name. Their unique mash-up of Irish, hard rock and punk music attracted an ever-larger following. 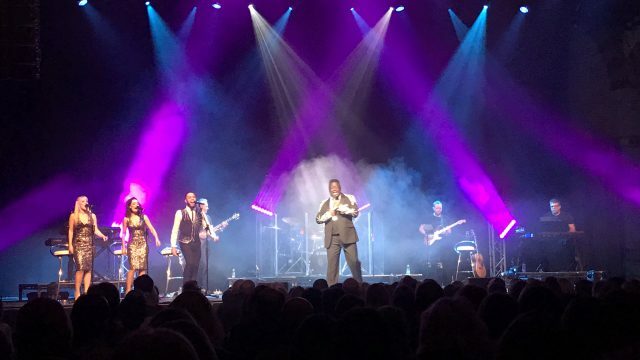 Now, six studio albums and three Billboard Top 20 hits later, this American band is kicking off 2019 by bringing its Celtic-inspired sound to Europe in an 11-country Life Is Good tour that runs through mid-February. 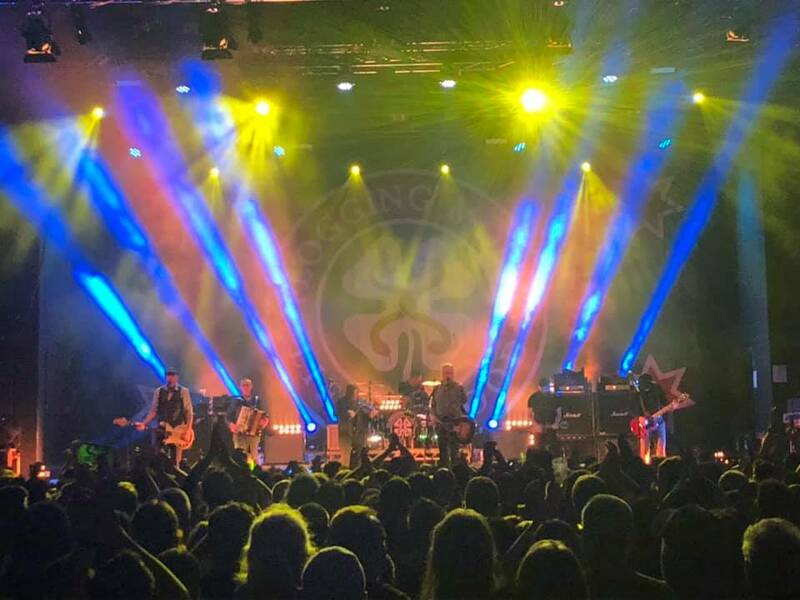 As a band, Flogging Molly thrives on crowd connections, enlivening every setlist with boisterous singalongs like “Drunken Lullabies” and “Salty Dog.” The tour’s lighting design contributes to this mood with plenty of audience lighting and intense colors. 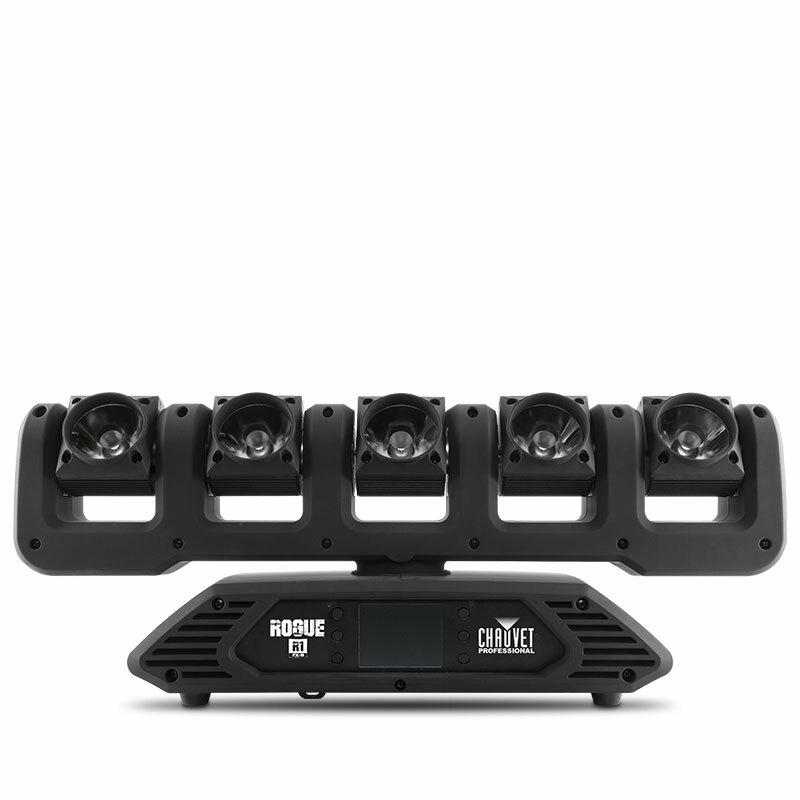 Also contributing to the colorful looks on stage is the Ovation B-2805FC. 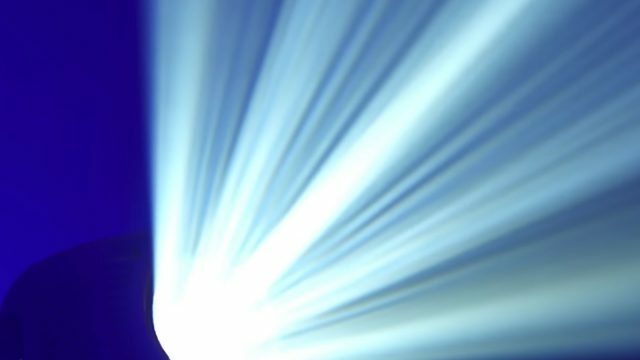 Positioned on the drum riser, this RGBA-Lime batten-style fixture is used to reflect colorful light off the drums, adding a warm glow to the party atmosphere endemic to a Flogging Molly show. 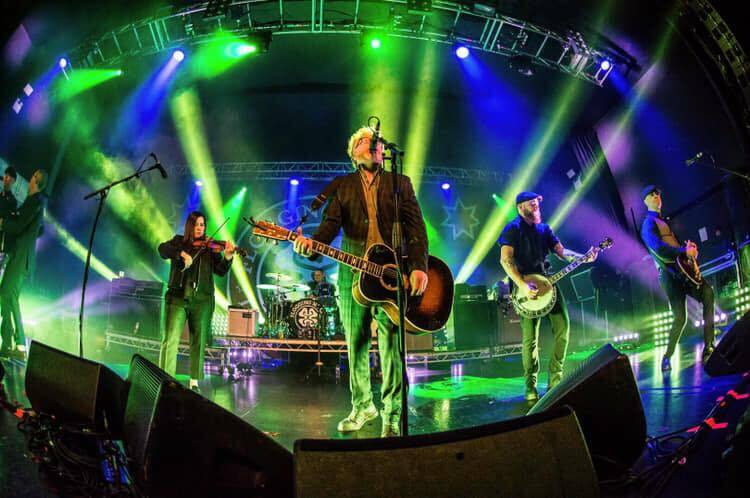 Beautiful colors accompanying colorful music has proven to be a winning formula for Flogging Molly in Europe, as this Celtic crew from LA has been drawing big crowds from Paris to Warsaw. Fans are loving the show, which pleases Therrien, but even more exciting is the reaction he’s getting from his client.